The istrian ham, first Croatian autochthonous product nationally registered as Protected Designation of Origin (PDO) in compliance with EU standards on 10th February 2011., by the Ministry of Agriculture, Fisheries and Rural Development. The project is currently in the request submission phase for issuing PDO at the EU level. The Istrian ham (pršut) is a long-life dry-cured meat product made of skinned pork leg and fatty tissue with pelvic bones. It is dry-salted with sea salt, seasoned with natural spices, and then left in the open air to dry without being smoke-cured. Finally, it undergoes at least one year of ageing and ripening processes. 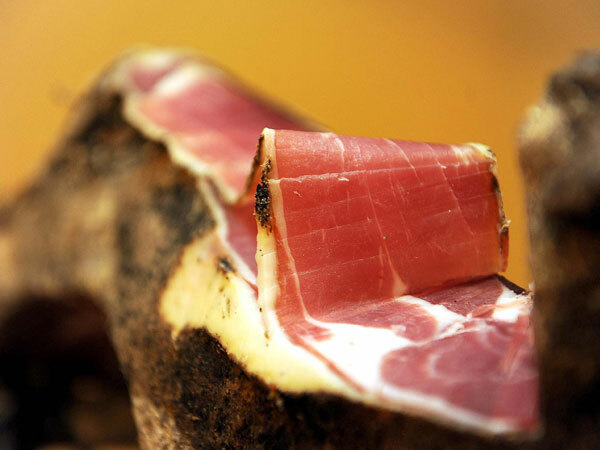 There are three factors making the Istrian ham special, namely raw materials, manufacturing technology rooted in tradition and organoleptic characteristics. Raw materials are specific because of controlled breeding of particular breeds of pig fed according to a prescribed diet in prolonged fattening in which pigs have to weigh at least 180 kg, the weight traditionally used by Istrian farmers in ham production. Ham production process takes place in several phases. It starts with leg trimming, followed by the phase of salting, pressing, drying, and finally, the phase of maturation. A total production period for the Istrian ham from the beginning of salting to the end of maturation is at least 12 months, sometimes even up to 18 months in Istrian weather conditions. Traditional technology requires that the leg is trimmed by removing the entire skin and fatty tissue leaving the hip bone, which does not characterize ham production in other regions. In fact, hams produced in neighboring regions have both skin and fatty tissue and the head of the femur is well seen from the inner (medial) side, which is one of their basic visual characteristics. On the contrary, the head of the femur of the Istrian ham is closed within the pelvic bone. Treated ham is dry-salted and seasoned with pepper, garlic, sometimes even bay leaves and rosemary. The use of so many spices in the salting process is another distinctive feature in the production of the Istrian ham. Removal of skin results in a greater degree of dehydration compared to other types of ham and produces another of its distinctive features – the external surface of the leg is covered with molds. In fact, molds that occur over the course of the ripening period undoubtedly affect its later distinctive organoleptic characteristics. The final product is characterized by a special aroma, mild and moderately salty taste, uniform red color in all its sections and favorable consistency. 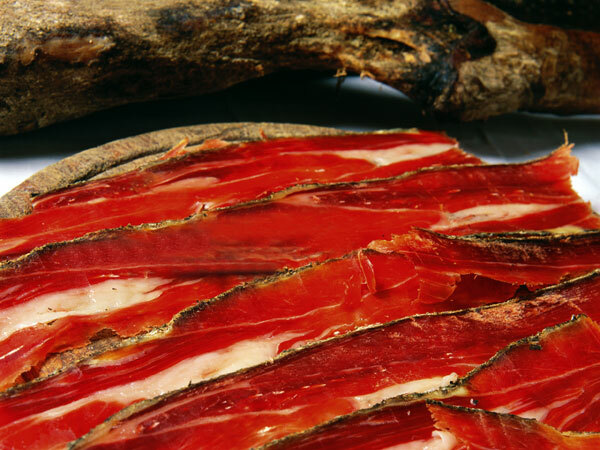 The Istrian ham does not contain unhealthy substances because curing salt mixture has no nitrites or other additives. 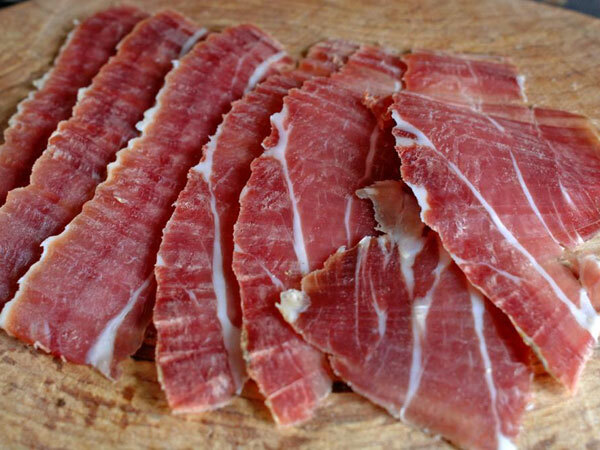 It also does not contain any cancer-causing substances, because ham is not smoke-dried during its curing. The Istrian ham is the most important and the most renowned traditional Istrian pork product. Main objectives are to increase the quality, to strengthen the production and to promote the Istrian ham on local, national and international level. 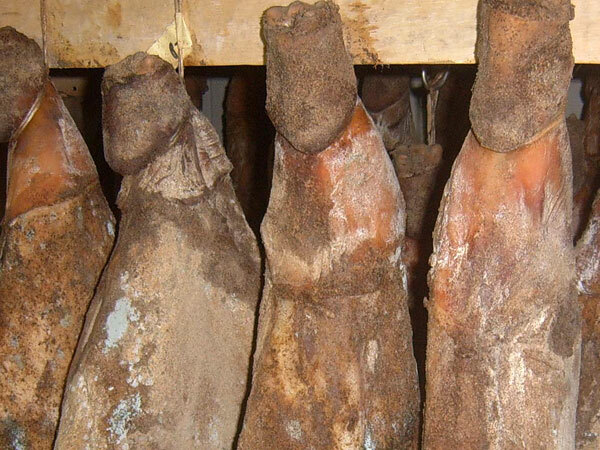 With a view to fostering protection of consumers against counterfeit products, the Association of Istrian Ham Producers launched the standardization process in the 1990s to establish registered, controlled and regulated production of the Istrian ham. ConsProducers of Istrian Ham who established the Association of Istrian Ham Producers in 1998 which became the lead manager of manufacturing and promotional activities related to the Istrian ham. Producers of Istrian ham will increase their profitability and consumers will benefit of an high quality product. Also, we shouldn’t neglect the benefits that the Istria Region and Istrain tradition can get from promotion of this product around the world. Expected result is to get Protected Designation of Origin (PDO) at the EU level, and the main indicators to measure success are increased profit from the sale of Istrian ham and the involvement of restaurants which can use Istrian ham in meal preparation. The best form of marketing is participation of producers of Istrian ham in International Ham Fair (ISAP) in Tinjan where visitors can taste and compare features of the Istrian ham with the features of ham produced in other Croatian regions and European countries. Thank to this and other local events like Vinistra Fair in Poreč, a large number of producers will become familiar with production of Istrian ham.